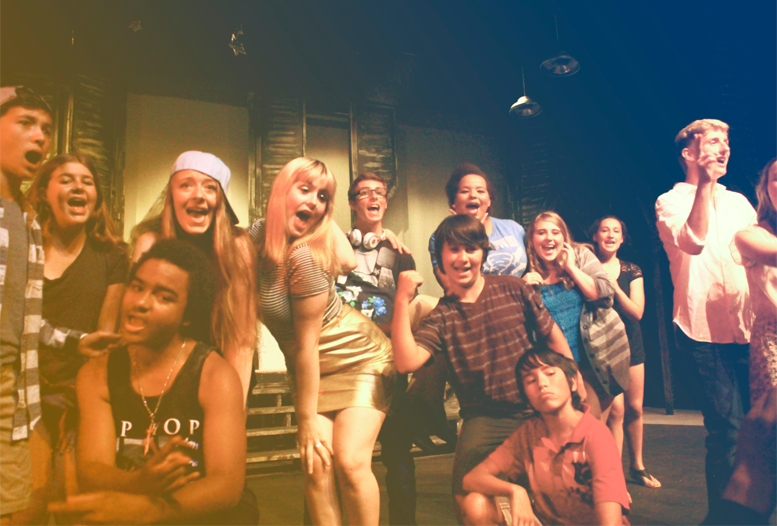 Vashon Youth Theatre: What is VYT? 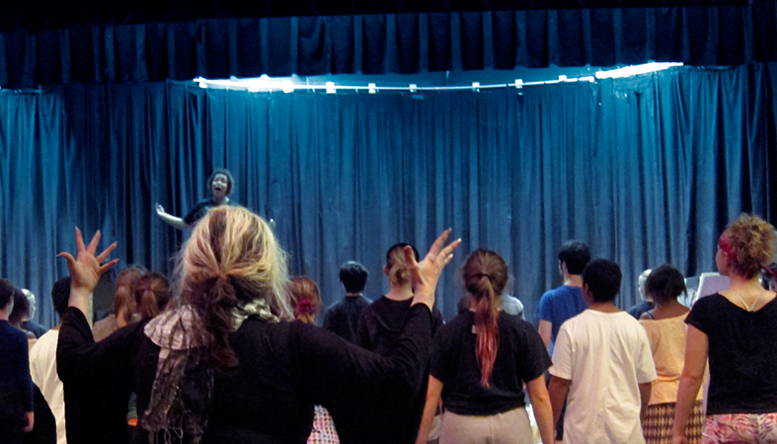 Vashon Youth Theatre invites youth to become involved and to receive the required training, in all aspects of the business and art known as the theatre. Instead of hiring professionals to do all the work for them, the pros mentor the youth. As their skills improve, the youth take on personal responsibility for specific areas. After all, it is their show! From posters to handling the tickets at front of house; from building properties, sets and costumes to focusing the lights on the stage; learning the dances to choreographing the dance and finally, to raising the needed funds to cover the costs of putting on a fully realized musical theatre production, our youth are given the opportunity to learn it all. We believe a healthy community is an active community and that means actively reaching out to include all its members. Theatre provides a unique place for youth to take on new roles and responsibilities, and to look at real interpersonal relations and conflict in a totally imaginary (and safe!) setting. We, our children’s community, need to provide opportunities for experiential learning. It is through hands-on experience that the youth gain new skills, and, more importantly, it is through reflection of their struggles, problem solving and accomplishments that lead them to acquire new ways of seeing themselves and others. A new way of participating in the world! VYT focuses on Vashon’s youth, ages 13-25, with the occasional adult role or occasional roles for 6 to 12 years. No experience is required, as this is a teaching program. Dancers, Singers, Thespians, Gymnasts, Musicians, Crafters are all a perfect fit for what we do. VYT is a 501(c)(3) organization in the state of Washington. Your contribution is tax-deductible to the extent allowed by law. No goods or services were provided in exchange for your generous financial donation. 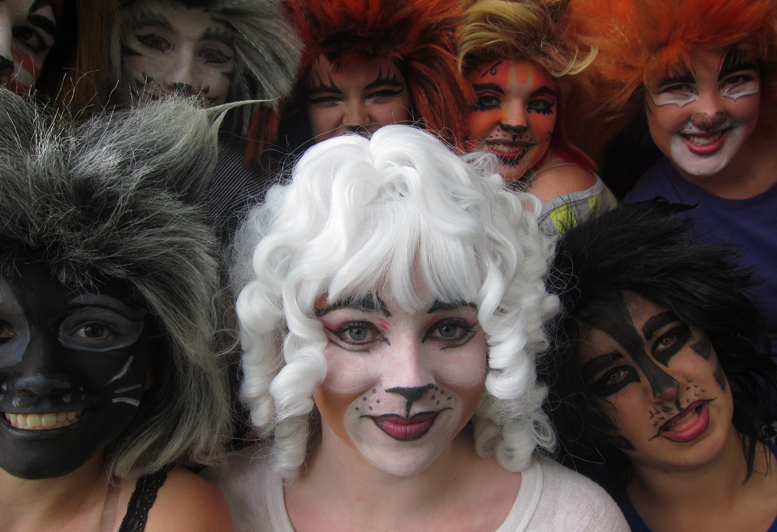 Vashon Youth Theatre is a true gift to Vashon Island. Quality productions & great experience for our youth.